01Why VR for your iPhone? Why VR for your iPhone? It’s no lie. The full on proper VR headsets cost quite a bit of money. If you have the money to spend then why not, go for it. However, if you’re like the most of us, shelling out that much money is not an option which makes price a major factor in using VR on your iPhone. 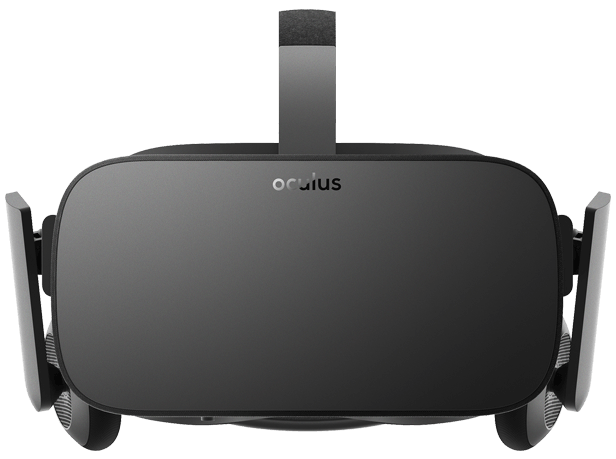 If we take an Oculus rift and compare it to the price of a Google Cardboard headset, we immediately see the gaping difference in price between the two. Your iPhone will enable you to quite literally take the headset anywhere with you. No wires, no bulky PC, no worries. The portability and usability of these things are possibly endless making it an investment for sure. We did a quick search on Amazon. There are quite literally thousands of choices of viewers out there. Did you get that? THOUSANDS. Obviously trawling through the endless replicas and cheap knock offs from amazon is not on your agenda for today. You’ll be treated to a choice of Cardboard or Plastic, some with more features than others. Obviously the Plastic headsets will be more durable than the Cardboard viewers but don't be fooled - Google Cardboard Viewers last much longer than you may think. Which VR specs/features are you looking for? This is all down to personal preference and of course; adding more features to your viewer does generally put the price up. Every single day it seems as if there's a brand new game for VR that’s been released. Despite the mountains upon mountains of iPhone VR Games out there, not many of them are actually that great. What Kind of VR Apps can you download? From Roller coaster rides to 360º videos there's something out there for everybody. Oh yes, we did just say 360º videos. Luckily for you, if you want to get your hands one of these VR ready videos, all you need is the native Youtube app installed onto your phone. it’s as simple as that - browse to find a 360º video which you like, cap the viewer icon on a video and you’re all set. To get viewing just visit the app store and type in VR and you’ll be presented with a whole host of apps to install. Alternatively use our comparison tools to help you weed through it all. On an iphone you’ll be limited to just the games that you can find in the app store. But, you shouldn't let that hold you back as there are many top rated VR games out there for iPhone Virtual Reality right now as you're reading this. We’re constantly putting together the best Vr games for iPhones out there but at the end of the day it is down to personal preference. Most of these games will use the native in built controllers such as only moving your head, using the touch / magnet buttons on the side of the headset or some may go to the extremes and require you to use a bluetooth controller. More information on this can be found through our Headsets Page. Last but not least, there’s a chance you may run into some difficulties with your newly found interest in iPhone Virtual Reality, especially as you're using it on your iPhone. What are they exactly? Try not to use it for long periods of time. Yes. We know, you reeeeally want to play that VR game for hours on end. But you need to be careful. The screen you’re looking at is natively built for being viewed at an arms distance away. Thinks of it as if you’re viewing games and apps through a magnifying glass. You’re magnifying the blue light and small resolutions directing into your eyes. Would you do that ordinarily? Probably not. So don't go watching 360 videos for hours on end because it's just not that good for your eyes. In fact several VR games and manufacturers are legally required to warn the user of problems incurred with long uses of play. To get viewing, just visit the app store and type in VR and you’ll be presented with a whole host of apps to install. It’s good but don't trick yourself into believing its better than the real thing. We use the word “real” loosely here. Mainly because it’s impossible to properly describe the difference of experience between viewers and headsets without getting too technical. REAL, just about gets at what we’re meaning. If you were to go from using an Oculus Rift to a Google Cardboard headset, you’d have a real hard time adjusting to the low pixel density and lack of accurate tracking. If a game looks blurry, it probably because it is. Many people are mislead to believe that viewers give the full experience. Using Virtual Reality on your iPhone sure as hell is fun and is great to get used to the world of VR. Just make sure not to rely on it as it's most like your daily driver. If you’ve enjoyed this guide, or have found it useful even remotely, then make sure to share it with your friends so that they too know what they’re missing out on. At the end of the day Virtual Reality is something for everyone to enjoy and learn something from. Cardboard was first created as a way to educate people on the possibilities of VR and now it's taken on a world of its own.